A basic or principal element or feature. What makes a style staple? For me, an item must be 3 things: versatile, comfortable, and season-less. Meet those three requirements and I will wear you out until I finally spill something intractable on you and I silently cry. 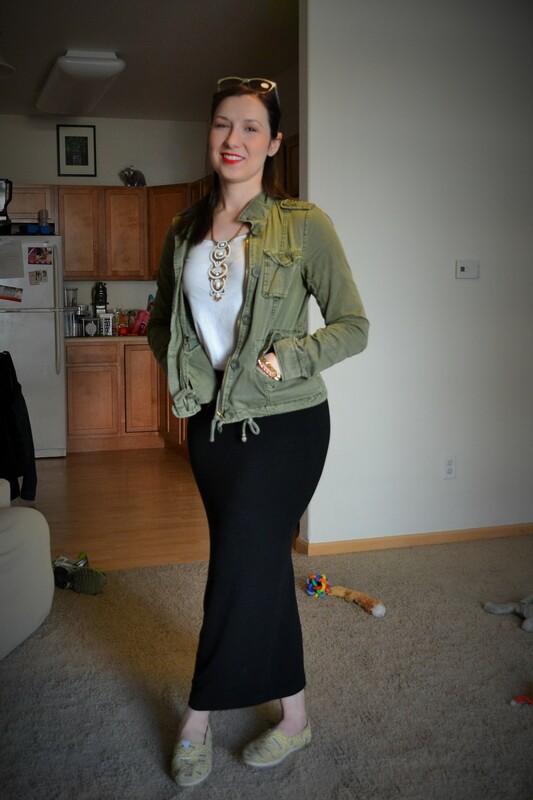 That brings me to my very first style staple….the Mimu Maxi Skirt Leggings. I love these. If you’re not familiar with the brand, they have been all over social media recently. The company was started by 2 women who are trying to follow the modesty guidelines within their Hasidic Jewish tradition and still remain fashionable. Best part is, their clothing totally appeals to tons of women outside of their religious tradition! 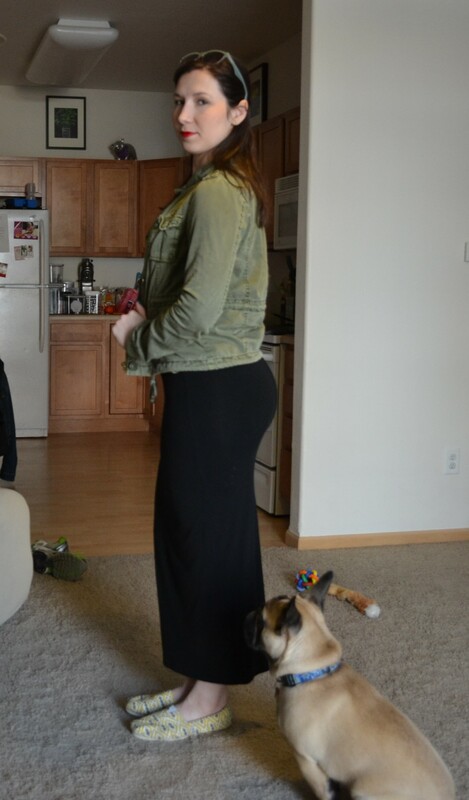 This skirt is super comfy and soft. They are available in a bunch of colors–black, camel, green, red, and blue. Mimu Maxi previously had prints available, but none for now. What I love about it is that I can remain covered up and fairly warm, but the skirt is still very figure-flattering. 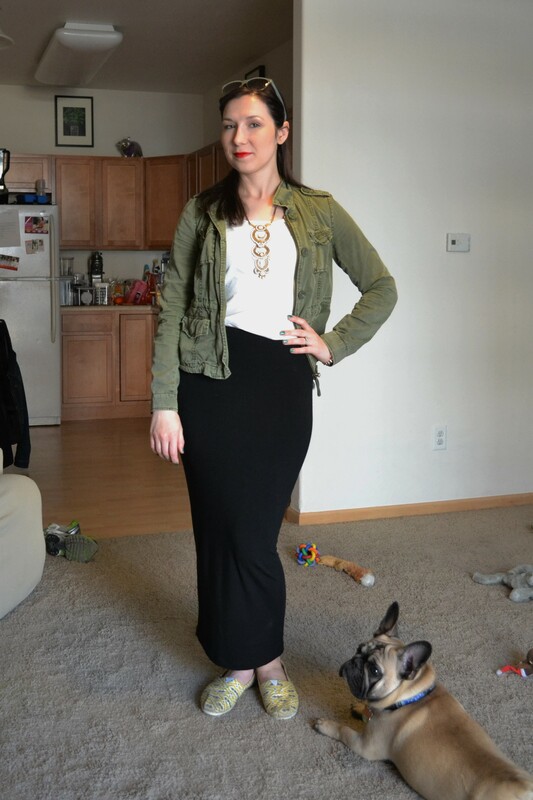 It cuts a nice waist for me and shows my curves without being too overt. I love it so much I already own 2 and can’t wait to buy more from this label (hello, cascade dress)! The one thing I was worried about when I bought it–would it be awkward to walk in? I mean, your legs are kind of plastered in this tube, right? Wrong! The fabric has plenty of give and hits you high enough that I still feel I can take a normal stride. I’m not going to do the splits in these anytime soon anyways.